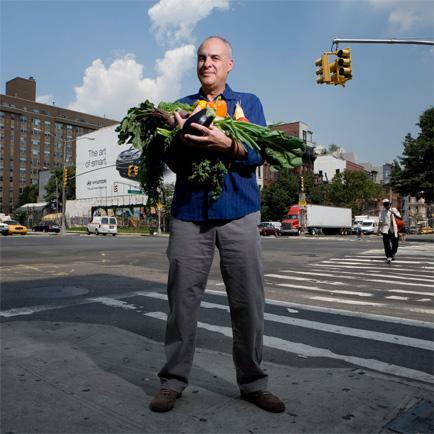 Mark Bittman (born February 17, 1950) is an American food journalist, author, and former columnist for The New York Times. Currently, he is a fellow at the Union of Concerned Scientists. Bittman has written and co-written 16 books and cookbooks. His most recent book, How to Cook Everything Fast, was released October 7, 2014. He is also the author of Vegan Before 6 P.M. and The VB6 Cookbook, where he provides all the necessary tools for making the switch to a flexitarian diet.